Access's new Virus: same sound, different look. Ask a cross-section of musicians which hardware synth that they'd most like to own, and it's a fair bet that a good number of them would name an Access Virus TI. Now we have the last Virus TI Polar WhiteOut Special Edition model to consider: the Dark Star. Spec-wise, this is the same as the Virus TI Polar 2009, but it has a 'Gun Metal' look that comes from its wood and aluminium case. 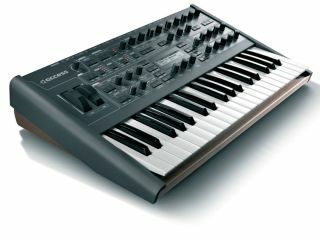 Whether you'll actually be able to get your hands on one of these synths, however, is another matter: previous Special Editions sold out on the day they went on sale. Still it's nice to look at, isn't it?